Recipes from Spain are exotic and flavorful. With these recipes, you'll be sure to impress your friends and maybe even expand their culinary horizons. When it comes to flavorful and colorful dishes, Spanish cuisine reigns supreme. Each region has it's own style and flavor, but they all have one thing in common--the food is meant to be shared with good friends and good wine. Most people are not big fans of sardines and I think it's because they are only familiar with the canned variety. Yes, sardines take a bit of work to prepare but once you try this recipe, I'm sure you will see that the flavor is worth the extra effort. If you are worried that your friends won't eat sardines, just tell them that it is "fish" and don't mention what kind of fish until after they tell you how much they love this appetizer. Cut the heads off the sardines. 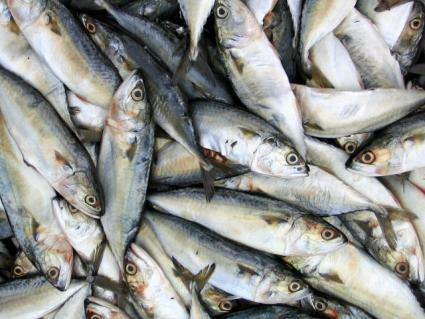 Split each sardine along the belly and clean them if needed. Turn them over so the backbone is on top. Press down along the backbone to loosen it and carefully remove it from the fish. Remove any other bones that you find. Close the sardines and dust them with the seasoned flour. Fry the sardines 3-4 minutes each side. Remove the sardines from the oil and let cool on a plate. Place the fish in a single layer in a baking pan. Add the oil from the marinade ingredients to the oil in the frying pan. Cook the onions over a low heat until soft. Add the bay leaves, cloves, chili pepper, paprika, and salt and pepper to taste. Fry for two or three minutes. Add the vinegar and wine. Let cool and then cover. Refrigerate overnight. Before serving the sardines, place the red onion, bell pepper, and cherry tomatoes on a cookie sheet and roast in a 350 degree oven for 10-15 minutes. Place the sardines two to a plate. Garnish with the roasted vegetables. Some of the most popular recipes from Spain come from the Catalan region, like this recipe. This recipe serves four. Heat the olive oil in a large pan. Brown the pork chops on both sides and place the pork chops on a plate. Add the sausages, onion, and garlic to the pan and cook over a medium heat until the onions are soft and the sausages are brown on all sides. Return the pork chops to the pan, along with any of the juices that had collected on the plate. Add the wine, tomatoes, and bay leaf. Cover the pan and cook over a medium heat for 30 minutes. Remove the sausages from the pan and slice into inch thick slices. Return the sausage slices to the pan and heat through. This is best if served with a salad and some potatoes.